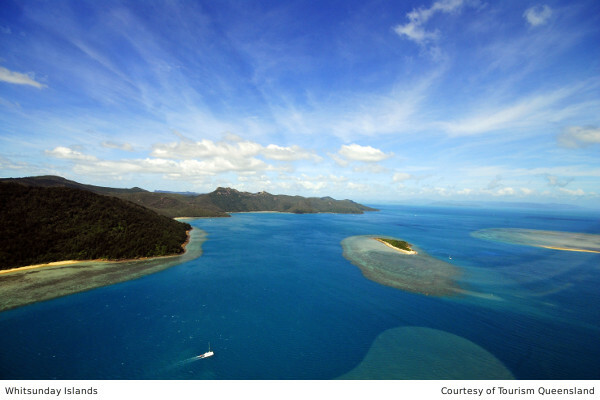 The Whitsundays is an exotic, fun-filled tropical holiday destination. With 74 Islands to explore, cruising around in your own charter boat or taking a cruise on a skippered boat, really is the best way to see these beautiful Islands. Airlie Beach has easy access to the Whitsunday Islands from its Marina and nearby Shute Harbour. You can also fly into the area arriving on the mainland at Prosperine Airport or straight into the Islands using Hamilton Island Airport. There are good connections from both of these Airports, to the rest of the Whitsundays. The Whitsundays are the Ultimate Island Getaway. Evening entertainment in Airlie Beach including trivia and pool comps, and there's live music on every night of the week. Cedar Creek Falls is spectacular in the tropical green season. Challenge yourself on the 30km Whitsunday Great Walk, on foot, or on your mountain bike. The Airlie Beach Lagoon provides a safe, stinger-free environment for the children to play in the shallows. Catch a Barra at the Peter Faust Dam.